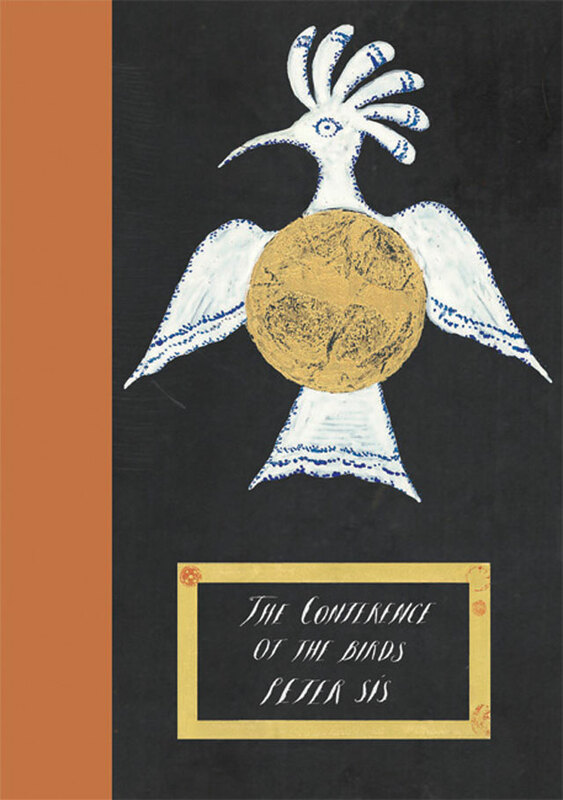 The Conference of the Birds, the epic poem by the twelfth-century Persian mystic and poet Attar of Nishapur, is here retold by the acclaimed author and illustrator Peter Sís in a dazzlingly new graphic form. 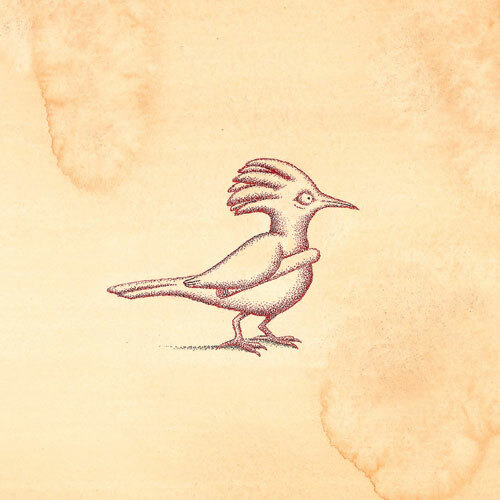 Part allegorical quest, part spiritual meditation, Sís's sumptuously re-imagined adaptation traces the adventures of a flock of birds, led by the hoopoe, their different species reflecting the range of human character. 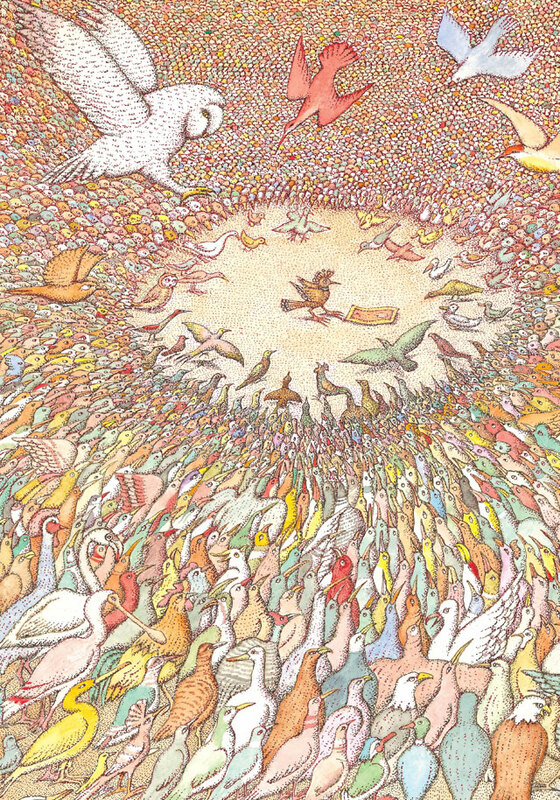 Disillusioned by the troubles of the world, they journey to the mountain of Kaf in search of their true king, Simorgh. The way is hard and perilous, and many birds abandon the voyage, others perishing in the arduous terrain of the Seven Valleys: Quest, Love, Understanding, Detachment, Unity, Amazement and Death. 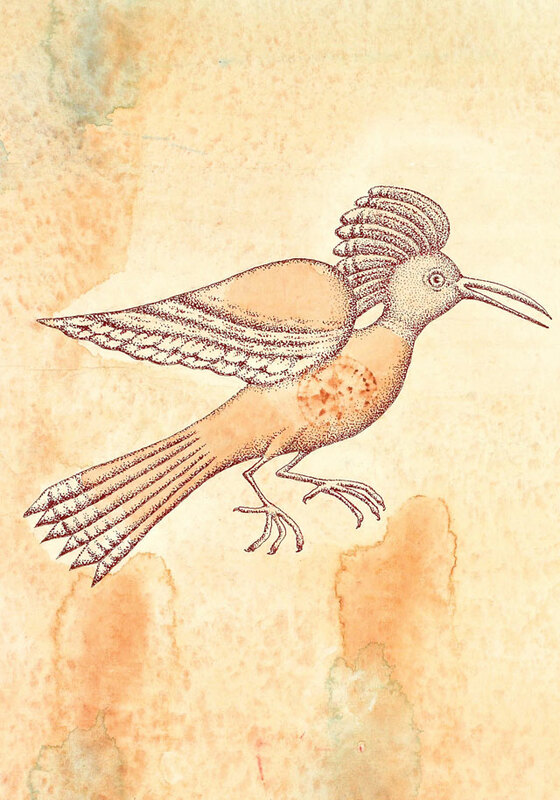 Those birds who eventually complete the voyage, and discover the true nature of Simorgh, learn a truth as relevant and profound for us today, on our long human journey, as it was in Attar's original, nearly nine centuries ago. "Incredible. Sparse text puts huge colour illustrations to the fore." "[A] gorgeous adaptation... the birds' journey is a treacherous, soul-wrenching allegory."